Is Shark Ion R75 worth buying instead of the Eufy 11S? Shark has a self-brooming brush that is more suitable for pet hair. Shark supports Wi-Fi and has an app. R75 is also integrated with Amazon Alexa. The Eufy lasts 30 minutes longer. 11S is less noisy when operates. Shark has a smaller dustbin, it needs to be emptied more often. Eufy has stronger suction that helps to provide better cleaning performance. 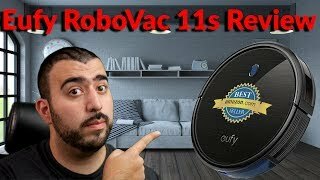 Eufy has the Boost IQ that increases suction power when extra vacuuming needed. Price. The Shark Ion R75 costs around $70 more. Shark Ion or Eufy? Which one is better? Shark has a brush that is a bit better for pet hair. It supports Alexa and has an app where you can control it. Because of the short battery life, the Shark is better for smaller homes with a mixed surface. 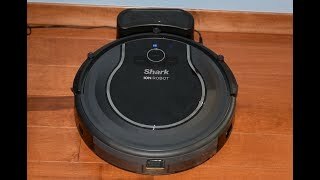 If you need a vacuum with wi-fi that would be integrated with Alexa- go with the Shark Ion R75 (750). The Eufy performs better on carpets thanks to its Boost IQ, strong suction and big wheels. If you don't need wi-fi support and you are perfectly fine with controlling your robot via a remote control - the Eufy 11S is ideal for you.